Adobe unleashed CS6 today which has upgrades for all the beloved Adobe programs like Photoshop, In Design, Illustrator, and my new love Premiere Pro (to happily replace Apple's Final Cut Pro X). 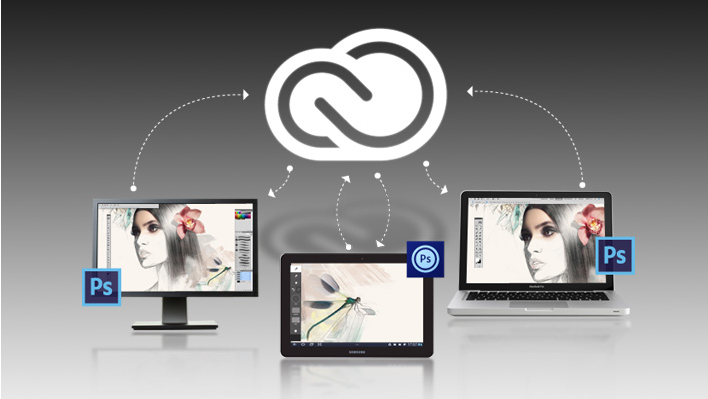 But they also fully released the Creative Cloud, which is a subscription based pay as you go service from Adobe. For $49.99 per month, you have all the adobe programs as up-to-date versions. That is right. For that low cost, you basically have access to the Master Collection which retails for $2599.00. Since you don't have a calculator in front of you, it would take you 52 months at $50 to reach that retail price. So what is the deal . . . well Adobe is finally catching on that their software is super over priced and they are losing customers because of it. Ah, but the real reason is to stop piracy. With such cheap access to the suite, isn't better to pay $50, and have legit full fledged design access with no problems, crashing, or viruses, than try and get a bootleg copy that doesn't work right, crashes, and causes viruses to spread like the computer apocalypse. Good move Adobe, well played. Here is a video link on what this is all about. . .
One more thing, Lightroom is not included in this . . . yet.